Ms Justice Mary Laffoy, president of the Law Reform Commission, addressed law students at the 11th Annual Trinity College Law Student Colloquium on Saturday. The event, organised by TCD Law School students, included a full day of legal presentations and discussions, with students from Ireland, the UK, Finland, Austria, France and Luxembourg amongst the participants dealing with a diverse range of legal topics. 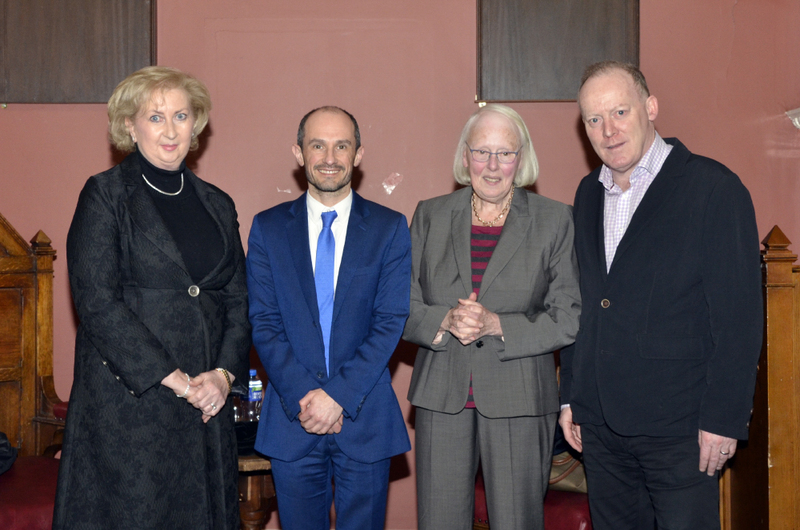 The organising committee also welcomed Judge Patricia Ryan and Conor Lenihan as guests. The day concluded with the Brian Lenihan Memorial Address, delivered by Ms Justice Laffoy, who retired from the Supreme Court in 2017 and was appointed to the Commission last year. Her address focused in particular on how the Law Reform Commission engages with the public and makes the law more accessible for the wider public. She noted that one of most important aspects of the Commission’s work is “access to legislation”, which seeks to make law clearer and more accessible to the public as well as practitioners, including over 350 revised acts which they hope to continue to expand. Ms Justice Laffoy also touched on the recent engagement with the public. For example, for the fifth programme, the Commission held consultative seminars with members of the public around the country at NUI Galway, University of Limerick, UCC and Dundalk IT; for the 2016 report on digital safety, the Commission gathered the views of young persons aged 13-17 as they are the one of the groups most affected by digital safety concerns.